Click here for our HIPAA Notification. This notice applies to all of the records of your care generated by Fairview Eye Center, whether made by the Practice or an associated facility. If you are under 18 years of age, your parents or legal guardians must sign for you and are responsible for your privacy rights. This notice describes the Privacy Practices of Fairview Eye Center and extends to all employees of Fairview Eye Center and our business associates including facilities to which we refer patients, on call physicians, and so on. 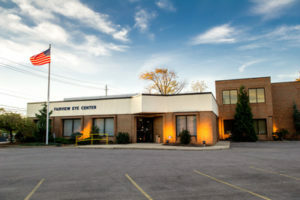 The Fairview Eye Center provides this Notice to comply with the Privacy Regulations issued by the Department of Health and Human Services in accordance with the Health Insurance Portability and Accountability Act of 1996 (HIPAA).